A reliable source for free NBA picks is our team of handicappers who are outstanding in dishing out winners on the hardwood. Experience matters when dishing out free NBA picks to the website audience. Our staff has several decades handicapping pro basketball and put in the countless hours in research and game watching to find the edges needed to turn a substantial profit. With the grueling schedule for the players in the league winning with free NBA picks requires a knowledge of the injury report. Teams can play between three to four times and week. Wear and tear on the body can take its toll. The short-term injuries present the greatest challenge. There are times when it comes down to game time decisions by the coaches if an injured player will play. An indicator will be the warm up period. If a player comes out for the warm up he is likely going to play. Home court advantage accounts for something when handicapping free NBA picks. Home team players are familiar with the look of the basketball rims having played half of their games in their home building. The push they get from the crowd can deliver scoring runs. Sports handicappers dishing out free NBA picks assign a number to every home court. One instance where home court is not such an advantage comes after long road trips. Most teams are given one day or rest and then must hit the court the next day. Usually players need a home game to get fully recovered. Many times the road team will cover the point spread and sometimes win straight up as an underdog. Look for free NBA picks on road teams facing home teams in their first game after a long road trip. Pro basketball bettors upon receipt of their free NBA picks are going to analyze the point spread explanations. Mainly those in written form by handicappers dishing out the selection. Many who bet on sports these days are a lot smarter and knowledgeable about certain key angles and situations in betting basketball. The staff at this site gives detailed explanations in writing or by video. Explained is why they like a certain selection against the spread. Free NBA picks are provided in written form and on video posted daily on the home page of our site. 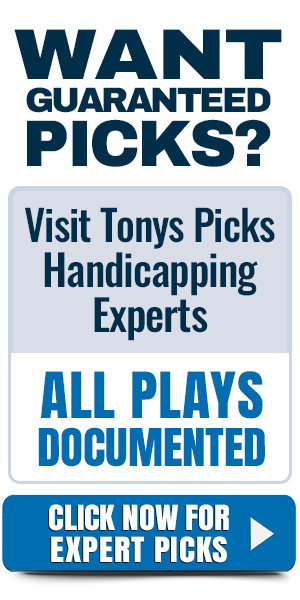 Statistical information is vastly available these days for serious bettors to use in their handicapping. Home road splits are a good angle to check first. Some teams struggle mightily on the road in the NBA. This info is immediately found on the stat sheet under shooting percentage and field goal defense. Because of the crowd noise communication breakdowns occur and transition defense suffers because of it. As a result, easy baskets are allowed. Bet on free NBA picks that cover in depth the statistical advantage a team has on the court against an opponent. A good three point shooting team facing a team that is poor in defending the three would be a huge angle to attack. Prognosticators who send out free NBA picks are careful to see if a betting line is factoring an edge a team has on another team. They may look deeper in to the game. A good practice is to try and get into the head of the coaching staff. Figure out a game plan on how each team will attack one another. Our season pros know the league and coaching staff and have very good insight on how teams run their offense and defense. NBA has seen rule changes in recent seasons to speed up the flow of the game. Referees are looking to blow the whistle if defenders are hand checking and using their body to impede progress. Defenders must use their feet to defend and can no longer lean their body into a defender to stop penetration. Those are some of the integral part of handicapping free NBA picks. One of the impact of the rule changes in the league is that teams are forced to go with younger players in their rotation faster. The speed of the game has changed dramatically to make it more attractive to fans. Teams with older players will usually show signs of fatigue in long road trips or on back to back nights. That is when to attack the bookmaker with strong free NBA picks. Bettors are aware of trends but may not be fully knowledgeable on meaningful ones to make wagers on. As a rule. recent trends are the only ones to seriously consider. Long term trends spanning five to ten seasons have very little meaning to how the game is played today. There is plenty of player and coaching movement in the league. For that reason only recent trends dating back up to two seasons are considered when giving out free NBA picks. The key to winning long term with free NBA picks is to keep discipline with the winning principles, therefore needed for long term profit. Hence, a bad streak cannot result in chasing losses. Our staff uses their knowledge and key point spread information to go on record with free NBA picks. No shortcuts are taken. A skill developed by experience handicappers dealing free NBA picks is to factor in motivation. In an 82 game schedule that may be tough. A great number of games are played each week. There was a time when teams looked to crank up their defense in middle of January. Therefor to improve their playoff seed. The early part of the season can be a bit of a quagmire. Coaches are looking at different rotations on the court and usually make up their mind by Christmas who their key seven players in the rotation are. Bettors will receive their free NBA picks a various amount of ways. Most popular free NBA picks play is the point spread or against the spread. In this scenario a team is given a betting line. For example, we will say Boston is favored by -4 points against the Milwaukee Bucks. A wager is made on an free NBA picks than included the Celtics -4. This means to cash your bet the Boston Celtics must win by five or more points. A bet on the Bucks +4 will be a winning free NBA picks if Milwaukee wins outright or loses by three points or less. Another free NBA picks will be a total also known as over under. Going back to Boston and Milwaukee an oddmaker will assign the total amount of points each team is expected to score in the game. Let’s say that number is 203. If a free NBA picks release is playing the over for that bet to win the total amount of points the Celtics and Bucks must combine to score must be 204 points or more. If the free NBA picks is on under the total then the total amount of points must be 202 or fewer for that wager to win. In addition money lines may be released as free NBA picks. That is betting on a team to win straight up with the point spread having no bearing on the game. Boston may be favored by -170 odds on the money line with Milwaukee returning +150 odds. If a free NBA picks is sent on the Boston Celtics than a bettor must wager $170 to win $100 and as a result would amount to a return of $270. If the free NBA picks is money line Milwaukee then wagering of $100 on the underdog would win $150 for a total return of $250. Parlays are another popular bet and a free NBA picks released on the site. In this scenario a bettor must wager on two or more teams to cover the point spread. As a result a higher return rate of odds is gained when winning. Most parlays can range from two teams to as many of 20 teams depending on the sportsbook. Those wining free NBA picks will have multiple outs to place their wagers. That means to have more than one sportsbook to place the bet. In conclusion, shop for the best odds because that will create more winning free NBA picks in the long term.